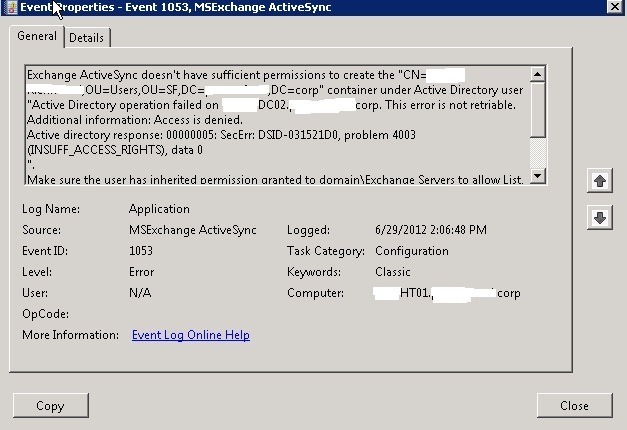 At a recent customer, we ran into an issue where a set of users were migrated from Exchange 2007 to Exchange 2010. 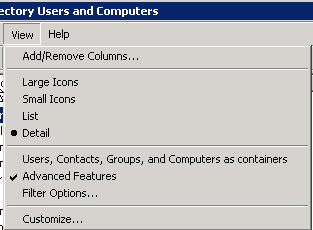 All of the users activesync worked without issue, but one user was unable to connect. No matter what we tried, he would get”unable to connect to server” on his phone. We checked the activesync logs, would see an initial connection but then nothing else. I checked this box, hit apply, and boom active sync started working. Since this account was not a domain admin and just a standard user account, this was unexpected. With many companies putting an emphasis on security, especially given the recent events involving Google and China, one of the things many companies turn to is two form authentication. The most popular brand out there is RSA, a subdivision of EMC. Those who work with RSA know the deal. You get an appliance that you install on your internal LAN, and give your users a key fob. This key fob has a display that changes a number sequence every sixty seconds. Users then use this key code, along with their user name and password, to log onto company resources. It’s regularly seen with network resources such as Citrix XenApp and web resources. 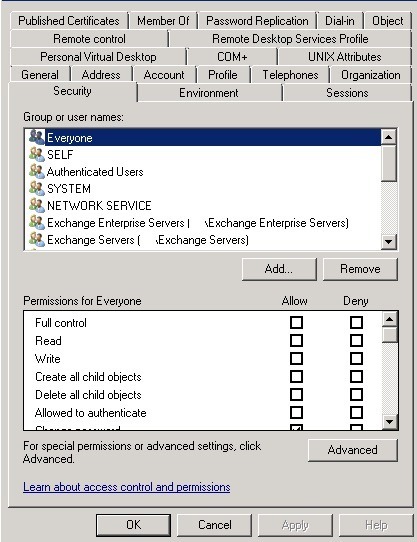 Another solution where you can leverage it is by securing Outlook Web Access from Exchange 2007 or Exchange 2010 with RSA two form authentication. This means that users would need to use an RSA token along with their user name and password to log onto OWA. Besides the RSA appliance, you would need also a Microsoft Threat Management Gateway Server (formerly called ISA Server) installed and operational. In the remainder of this article, I’ll show you how to publish the OWA page utilizing RSA for two form authentication. Remember, with TMG the server generally has 2 NICS, one is connected to the unprotected network, or internet, and one is connected to the protected LAN, or internal network. With Threat Management Gateway, you can either have it external to the domain, joined to a workgroup, or joined to the internal domain. In our example, we have the TMG server joined to the domain. 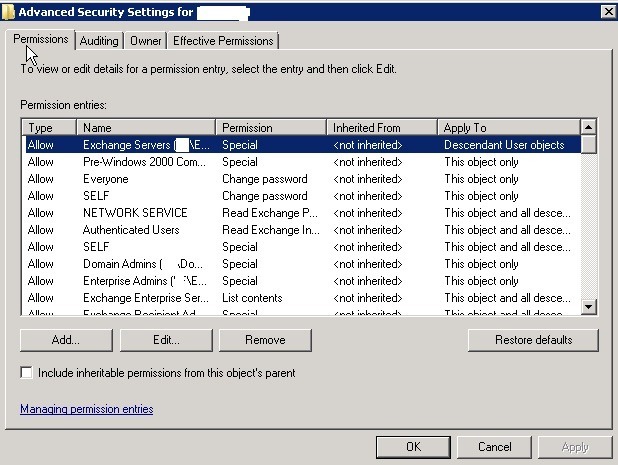 Ensure the Agent Type is set as NET OS Agent and check Open to All Locally Known Users. Select the TMG server, NYTMG1 and save the resulting sdconf.rec file to the RSA appliance desktop. Next, move that file to a location on the TMG server that you can access from that server. You may need to use a USB key or CD if your TMG server is set with the default settings, which doesn’t allow remote or network share access. Next, we need to export a copy of the certificate that is installed on NYCAS01, so that we can install this same certificate on NYTMG1. This is because the TMG server does SSL bridging between the two servers, and needs this certificate in order to unwrap the SSL packets from the client. Next, you can export this certificate to a .pfx file with the command above. Note we are exporting the certificate whose thumbprint begins with 331BF.At the end of this command, a logon prompt will appear which will force you to enter logon credentials to password protect the certificate. The prompt forces you to enter a logon name with a domain, but rest assured, it’s the password that’s important. At the next screen, select Mark This Key as Exportable, enter the password you created earlier and select next and finish. Now this certificate is available for use in TMG. Click Next. The next screen is how you want the TMG server to speak to the CAS server. Since security is paramount here, we want to select “Use SSL”. Click next, and this screen is asking what EXTERNAL DNS NAMES your users will be typing into their browsers to connect to this page from an external computer. If you set the public name wrong, users won’t be able to connect. In our example, users will type in owa.company.com to access the OWA page from outside the organization. After creating a name, select next, and you’ll be presented with should the listener require SSL. Since, again, security is paramount, we select require. Next, it will ask what networks will be connecting to the server through this listener; here select External since this will be a web page that users will access from outside the company network. Next, we are selecting particulars of how the user will log in through this listener. Here, we want to select HTML Form Authentication, and we need to select Collect Additional Delegation Credentials in the Form, and select RSA SecurID. This will add an extra field in the OWA logon page, requesting the SecureID token from the user’s key fob. Select Yes. The TMG server has built in RSA dll’s, so you don’t need to install the RSA Agent software on the TMG server. You do need to select yes though here, to create the necessary firewall rules to enable communication between the TMG server and the RSA server. So that takes care of the configuration on the TMG server side, but we need to ensure of some configuration on the Client Access Server side of NYCAS01. Remember, before we selected Basic Authentication as the method the TMG server would use to authenticate to NYCAS01, so ensure this is selected as an authentication option. After you apply these settings, you’ll need to run IISRESET /NOFORCE from a command line to recycle the IIS process and apply the changes. There we go! Notice the three boxes, one for user name, password and pass code. Just copy the file to correct location, no need to recycle services, and you should be all set! Any questions just shoot me an email!